I 've been awarded with not one, but two blog awards by the sweetest Tackyblueeyeshadow! 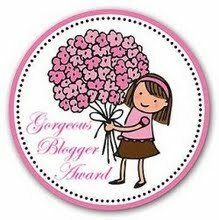 So, for this award, I have to post 7 things about myself that people might find interesting and in turn, nominate 7 bloggers, whose blogs I love to read! 2. The last three backgrounds of this blog were made by yours truly, using a programme called Paint.NET (not without a few screw-ups along the way). 4. Despite the title of this blog, I don't own a vanity table! But I already know what I want: the IKEA Malm dressing table paired with a crystal clear Louis Ghost chair. 5. I used to be insanely addicted to the Sims 2. I haven't played it in ages, but as I 've been looking for laptops recently, I do check the characteristics to see if they fit the Sims 3 requirements! 6. I find baby lambs and baby goats to be extremely cute little creatures! 7. As much as I love gadgets and technical appliances, I have no luck with most of them, they always seem to break or stop working way too often and for no apparent reason most of the time! i have that vanity table :) but the chair...just lovely. what a great pairing. the background looks great, tina...you've got skills!!! I would love to see blog posts related to no.1 featuring dupes for more expensive looking celeb clothes/accesories- that would be really cool! I used to be addicted to Sims 2 too lol but even though the 3rd one is cool it gets a bit borring after time as there are no decent expansion packs :( you def need a super pro laptop though, its soooo detailed! Congrats on the awards, hun! & great facts! Oh, and it's always great to find a less expensive dupe for something you really want by a designer! @fantastic: I 've pictured that whole corner in my head...even the smaller details...one day I will be "All the Vanity" with a vanity table! Heehee! Regarding the background, thank you girl! Loved reading about! haha I used to be addicted to Sims 2 as well! Thanks so much for this! Your posts haven't been showing up in my Google Reader so thought I'd stop by, say hello and see how you are. @LionLovingTiger: Aw, you 're very welcome hun! 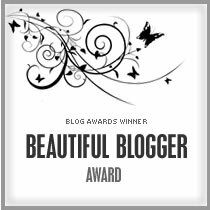 That's a bit frustrating, as I 've been told it's happened before with my blog... on top of the recent blogger issues I 've been having today...!!! Just...great... lol!